If there's anything that can rival my love for chocolate, it would definitely be matcha or green tea. 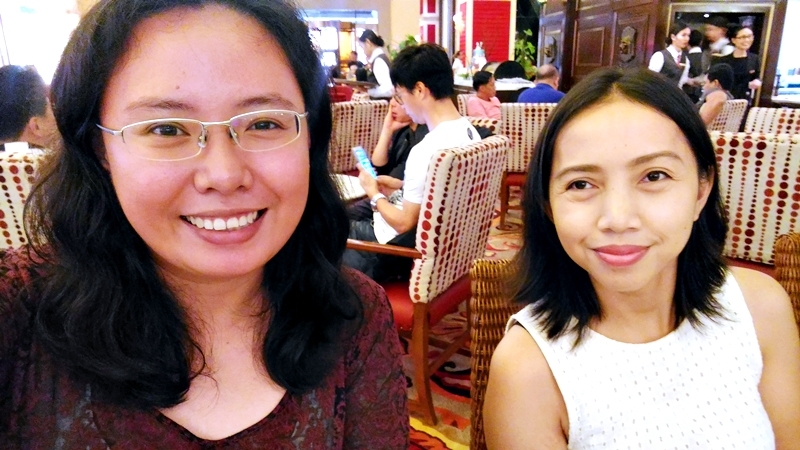 I prefer it over other tea types because it has the right amount of theine to give me a midday boost or calm me down. 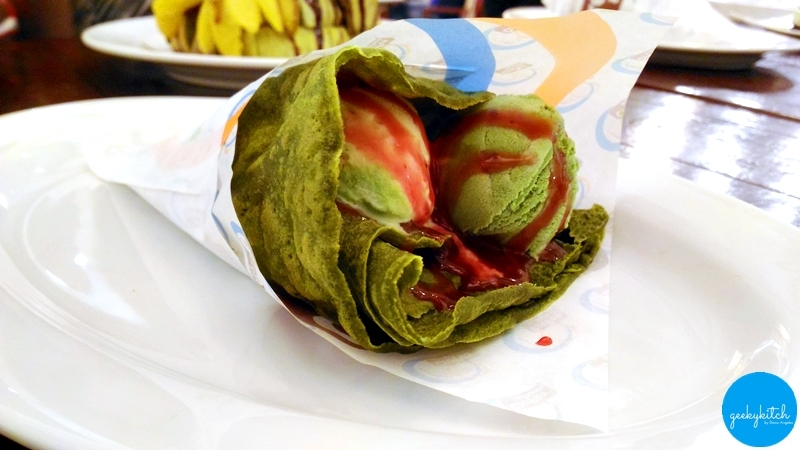 If not as a drink, whether pure tea or latte, I love green tea as soft serve ice cream or in chocolate form. While some of my friends have yet to appreciate matcha, it actually has a growing fan base locally. It is sought-after for its detoxifying health benefits and complex flavors. This led to the conceptualization of the country's first matcha-themed food festival which features twenty-six (26) matcha-infused dishes from sixteen (16) participating establishments in Newport Mall and Resorts World Manila. 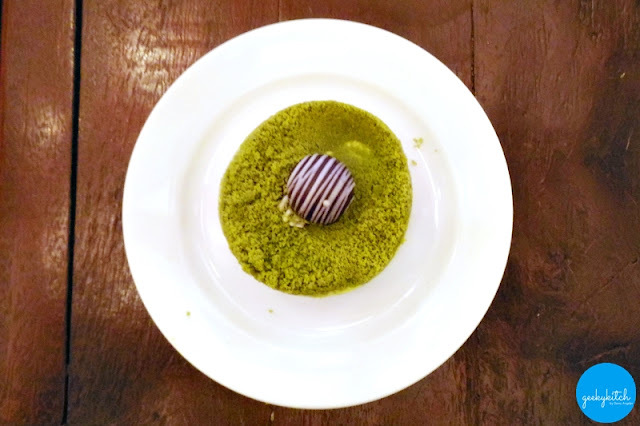 Savor the earthy flavors of green tea gelato, matcha cannele, koignette with matcha and red bean macarons with Impressions' Matcha Overload (P580). 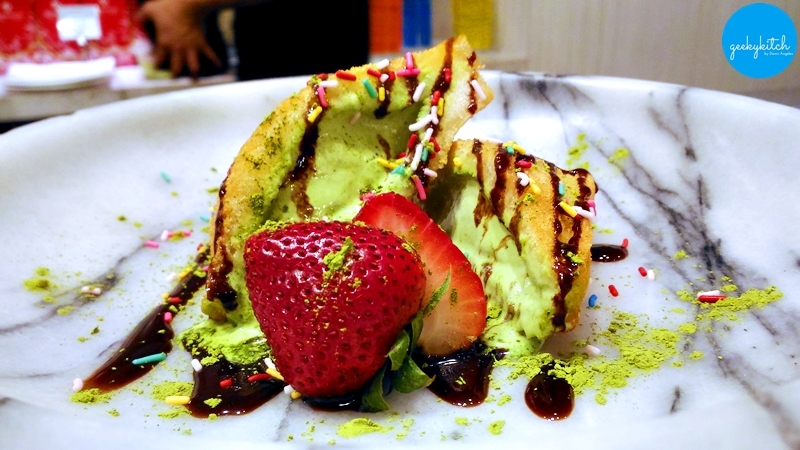 Sweet and no-frills Deep Fried Matcha Ice Cream (P180), topped with candy sprinkles, is Ginzadon's offering for the food festival. 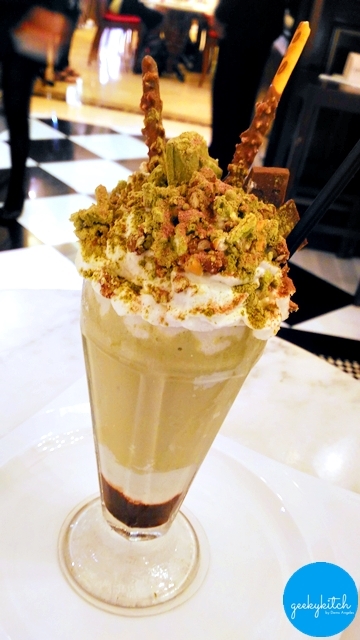 Are you an oreo, matcha and cheesecake lover? 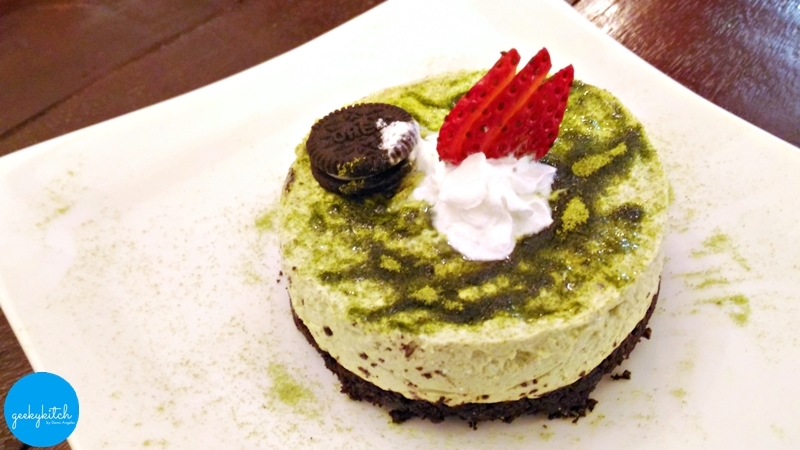 Head over to Mr. Kurosawa for their no-bake Oreo Crusted Kyoto Cheesecake (P228), topped with fresh strawberry. 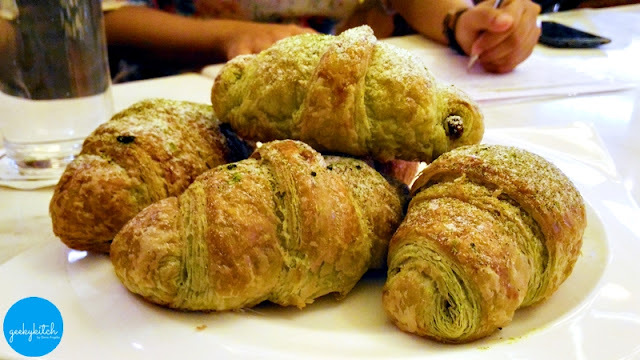 Enjoy the Perfect Matcha (P290 / set) - a fluffy green tea croissant (P120 per piece), filled with dark chocolate and almond flakes, paired with a cup of hot green tea latte (P240 / order) at Cafe Maxims. 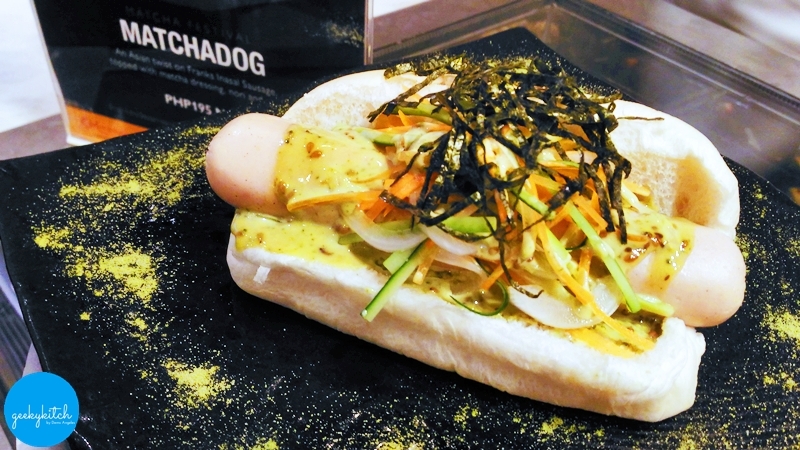 Franks' Matchadog (P195) is an Asian twist on their Inasal Sausage, topped with matcha dressing, nori and more. 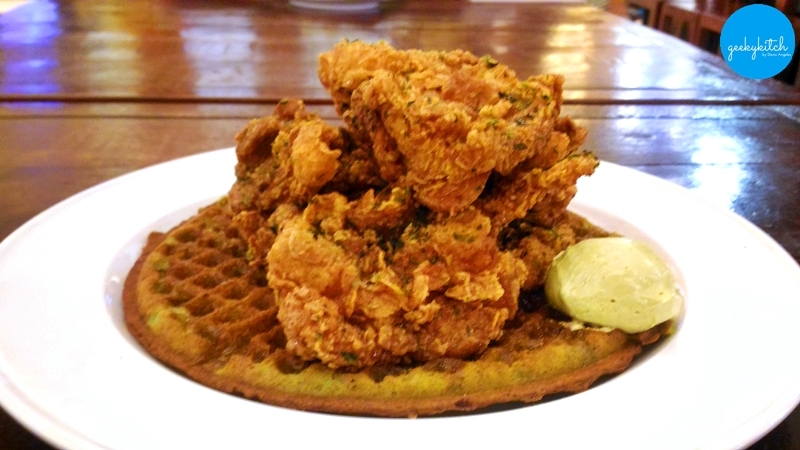 I never had chicken paired with waffle before but Kettle's Nori Fried Chicken with Match Waffle (P399) made me a fan! They seasoned the chicken with Cajun and nori while the waffle comes in green tea flavor with miso butter on the side. 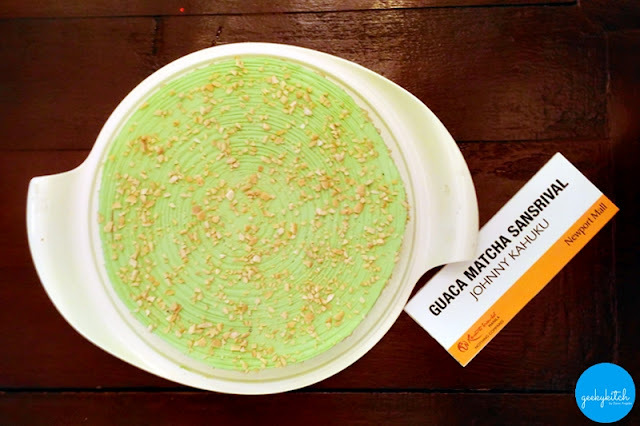 Want to recreate your new favorite matcha dish? 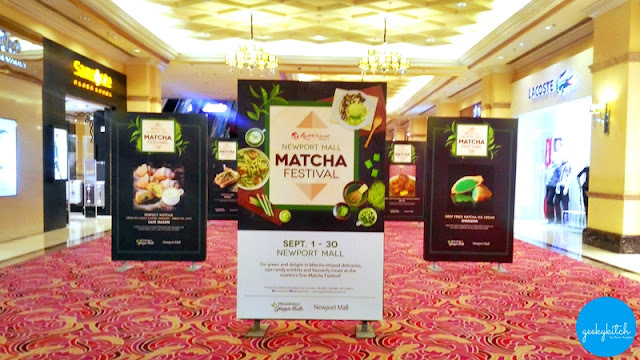 On your way between restaurants, don't forget to drop by the Matcha Art Exhibit (ground floor, Newport Mall) for a visual treat! 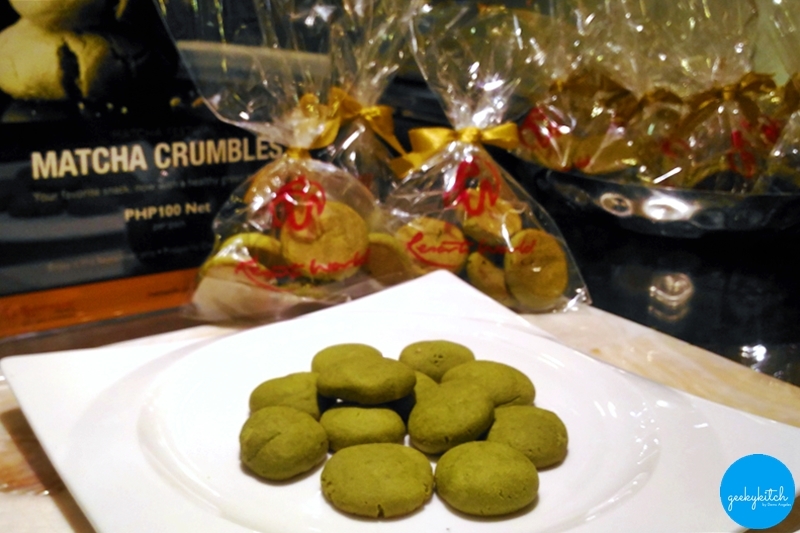 Take home special green tea merchandise from around the world at the Matcha Market, located on the 2nd floor, The Plaza, Newport Mall. 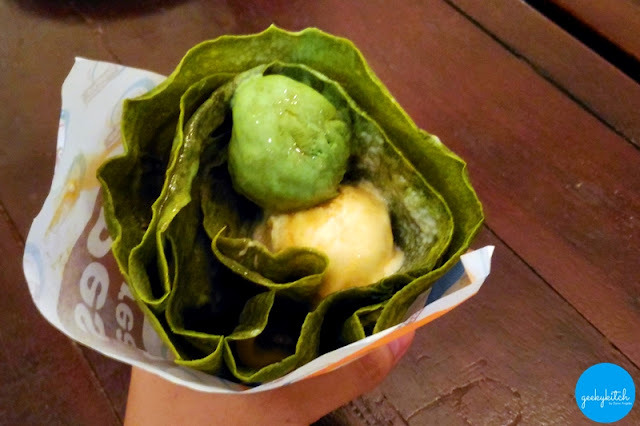 The Matcha Festival will run until the end of September only. For inquiries and reservations, contact Tourist/Visitor hotline at (02) 908-8833 or visit www.rwmanila.com for more details. 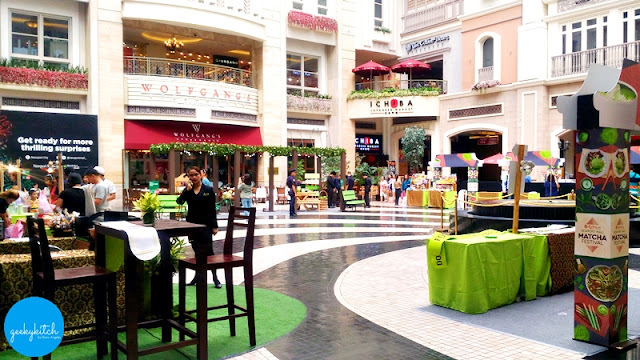 You may also get in touch with Megaworld Lifestyle Malls concierge at (02) 709-9888 / 709-0888 or visit www.megaworldlifestylemalls.com. 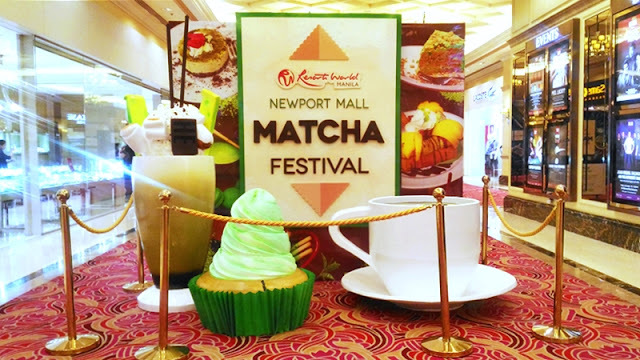 Don't forget to use the hashtags #RWMMatchaFestival #NewportMatchaFestival when posting about the Matcha Festival on your social media accounts. 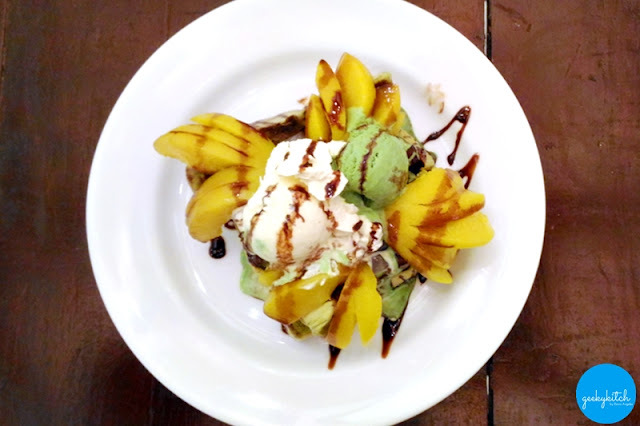 Tag @GeekyKitch on Instagram and we might just feature you!